Seventy percent of the Earth is covered with water. However, only about three percent that can be used for drinking water. While many people in the United States have clean, drinkable water from their kitchen sink, most of the people around the world do not have access to clean water and must boil or filter their water. You can teach your students how to water filters work with this easy project. 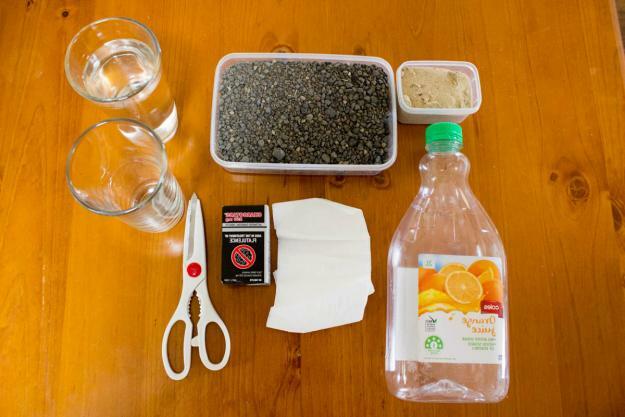 You can easily make a water filter with children using recycled materials found at home. This project is best for children in grades three through six, but it will work for all ages. Construction of the homemade water filter will take about an hour to build. Testing of the water filter can take anywhere from an hour to several hours depending on how fast the water drips. By using natural materials that mimic the water cycle of the Earth, children can learn how the process of infiltration works and create a water filter that works. Cut off the bottom of an old plastic soda or juice bottle using scissors or a knife. Place the bottle upside down into the vase or tall drinking glass. Place cotton balls, cloth, or a coffee filter inside the bottle as the first layer. The first layer should be about one to two inches thick. Add an inch of activated charcoal as the second layer on top of the cotton layer. Over the charcoal, add about two inches of gravel or small stones as the third layer. Add about three to four inches of clean sand on top of the gravel. Add gravel to the bottle as the final layer. Leave about a half inch of space from the top of the upside down bottle. Add dirt to a glass of water to create muddy water. Alternatively, get creative and add other things like glitter, beads, cooking oil or other materials to make dirty water. Pour the glass of muddy water on top of the homemade water filter and watch the water drip clean into the glass below. For this experiment, it is best to test the water before and after the filtration. To start, ask the child to make a hypothesis or prediction about the experiment. Pour two glasses of water from the kitchen faucet. The first glass will serve as the control. The second glass will be "dirty." Dirty the "dirty" water with materials found around the house. The "dirty" water can contain things like dirt, potting soil, glitter, dish detergent, kitchen oils, among other materials found around the house. Have the children test the two glasses of water with a home drinking water test kit, like the First Alert Drinking Water Test Kit. Pour each glass of water through the homemade water filter. Collect the filtered water in a glass. 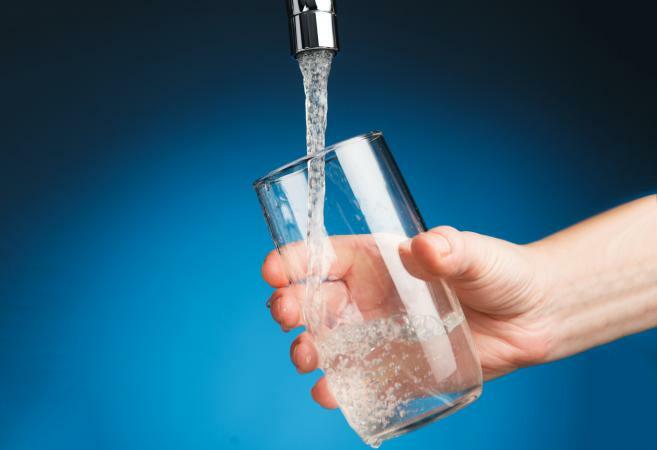 Test both water samples after filtration using the same home drinking water test kit. Compare all the water samples. Did the homemade water filter clean the "dirty" water sample? Is the filtered "dirty" water now the same as the control? Many of the materials used to make a homemade water filter can be found around the house and recycled for the purpose of this project. A small washcloth, chamois cloth or coffee filter can be used instead of cotton balls. If gravel is not available, small pebbles or stones can be used. If a plastic soda bottle cannot be recycled, a large funnel can also be used instead. As part of the experiment, children can test different materials to determine which materials produce the cleanest water. Instead of using sand and gravel, children could try rice and sponges. Kids can build several water filters using different materials to determine which materials filter "dirty" water into clean water. Each layer of the homemade water filter has a purpose. Gravel or small stones are used to filter out large sediments, like leaves or insects, whereas sand is used to remove fine impurities. Finally, the activated charcoal removes contaminants and impurities through chemical absorption. 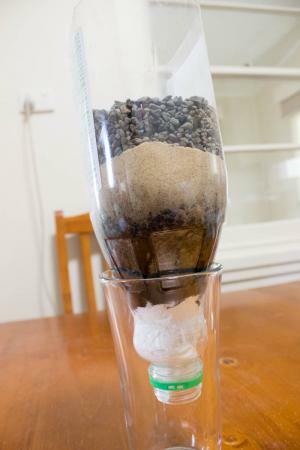 A homemade water filter is a simple activity that children will love. Not only does the project help children learn about the water cycle, but it's a hands-on experiment using common materials found around the house or outside that will fascinate them. The Earth naturally filters water as it is absorbed into aquifers in the ground. The natural soil of the ground filters leaves, insects, and other debris out of the water as part of the infiltration process of the water cycle. Unfortunately, due to pollution such as lawn care products, household chemicals, and fertilizers, ground water can become contaminated and unsafe to drink.